A very important contribution to the research carried out at NordVulk is provided through the fellowship program. 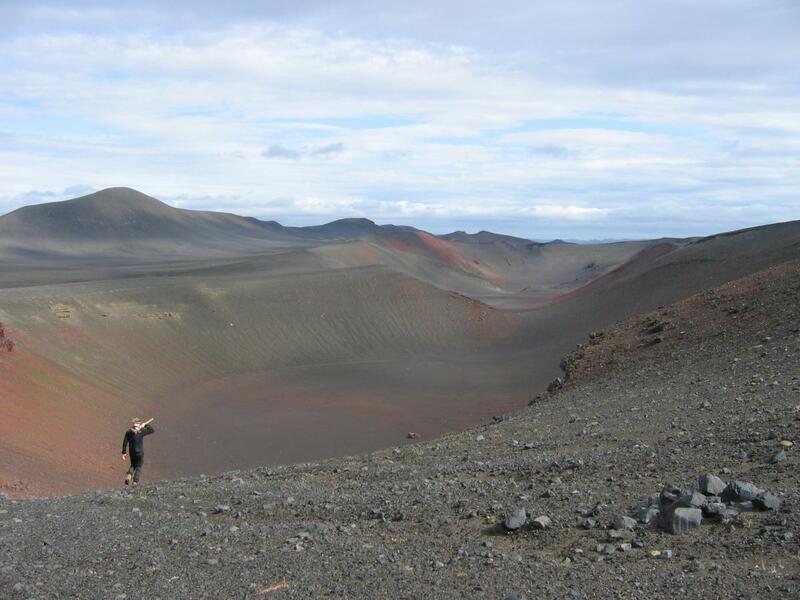 We are looking for young Nordic researchers who are interested in working with local experts on research related to petrology and geochemistry of volcanic rocks, origin of melts, the evolution of magmas during ascent from the source, through lithosphere, and the passage into hydrosphere or atmosphere during eruptions, sedimentological aspects of the deposition of volcanic products, geothermal and ore forming processes, structural aspects of rift zone mechanics, as well as active and extinct processes related to past and present volcanism, plate tectonics and crustal formation. Positions are available to Nordic citizens or residents for a 1 or 2 year initial period, with the possibility of extension up to three years in total. Candidates are required to hold a degree in geosciences. The employment period preferably starts June 1, allowing time for an initial field season. Salaries are according to Icelandic regulations. NordVulk covers project related expenses, one trip to the applicant’s home country per year, as well as annual expenses for attending international conferences and/or summer schools. At the end of the employment period, the fellow is expected to publish either a paper in an international scientific journal or a report on the work carried out. Results should furthermore be presented at an international geosciences conference. Nordic PhD students in geosciences are particularly encouraged to apply for the research fellow positions. It is the intention that a research stay at NORDVULK can be incorporated as part of the requirements towards earning a PhD degree at a Nordic home university. Only one-year fellowships will be awarded for the 2019-2020 period, due to changes in the funding mechanism beyond year 2018.